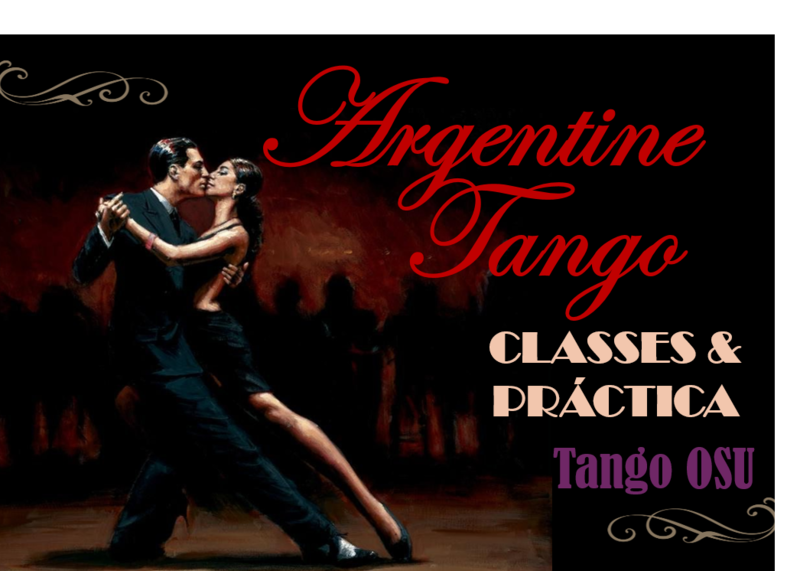 Welcome to the Argentine Tango Club at The Ohio State University. Every week we hold beginner / intermediate Dance Lessons on campus from 7-8 PM followed by a 2 hour Práctica. Our events are open to the public, and everyone one is welcome. No partner or previous experience necessary. Our instructors pay individual attention to everyone, so we believe you will benefit from attending regardless of your prior dance experience. Shoes with smooth soles highly recommended. Casual attire suitable. For the most up-to-date information, please check out our Facebook Page or join our Mailing List. If you have any questions or queries, feel free to Contact Us.